Round up your friends and join us for a Member’s Social! In honor of our theme for One Night 2014, we would like to tribute and spend some time with our members and get to know those of you interested in joining OAL! Discuss events, future programming, volunteer opportunities and whatever else you can think of with some of Ohio Art League’s administrators and members of the organization, and Board of Trustees. Join us at Strongwater Food and Spirits for drinks, h’orderves, and conversation on Wednesday September 17 at 5:30 pm. Check out our Event Calendar or find out more about becoming a member! We would like to welcome artists to submit pieces for the 2015 Fresh A.I.R. Gallery exhibition year! We would love to see some of your work! Have you seen?! There’s a Members Blog. If you haven’t heard or seen, there is a ‘Members Only Blog’ now available on our website, oal.org. Just sign in to the top right and you will have access to the blog. In addition to our WordPress Blog, we wanted to have a corner for our members to network. We will be posting on the Members Blog, but encourage YOU, our members, to post too! Comment, share, and post about things you are working on, call for entries that you hear of, residency opportunities, workshops, classes and of course, upcoming and currents exhibition/shows you are in!! We love to hear about all the awesome things that you, our members are working on, exhibitions that you may be a part of, solo shows, publications, and more! This Blog on our website is YOURS! Please share with your fellow members! A great outlet to make friends, collaborate, educate and learn! So don’t forget to share! Residency this Residency that. Raleigh North Carolina is calling your name. VISIT THE ARTSPACE WEBSITE TODAY TO SEE THE WORK OF CURRENT ARTISTS. Established in January 2000, the Regional Emerging Artist Residency provides emerging visual artists with time and space to explore their work in a supportive, thriving, artistic environment at Artspace. Two artists in their early professional careers are chosen from a regional pool of applicants every six months. The residency includes a private, rent-free studio with 24-hour access. Artspace does NOT provide transportation or living quarters. 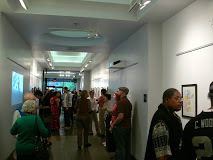 Each month residents are presented to the Triangle community during Artspace’s opening receptions and gallery walks. 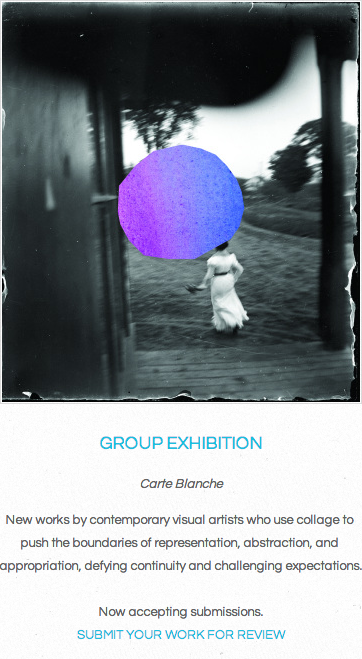 A fully supported exhibition of the resident’s work will be presented in the Artspace lobby after the residency. The primary focus of the program is to provide an artist with time for independent work, but some participation in Artspace programs is expected. During the residency, artists must contribute to Artspace’s educational programs and tours by working in their studios during business hours, especially during scheduled tours. Resident artists will also be expected to give a presentation, talk, and/or demonstration to the public during their exhibition or 6-month residency. 1. Artspace’s Emerging Artist Residencies are available to promising artists in their formative years committed to advancing their own work and professional careers. 2. Artists must be U.S. citizens or permanent residents over 18 years of age and must currently reside in the Southeast (Alabama, Florida, Georgia, Kentucky, Mississippi, North Carolina, South Carolina, Tennessee, Virginia, and West Virginia). 3. Artists working in most mediums will be considered, including experimental media; however, artists working with toxic materials, hazardous machinery, etc. will not be considered due to limitations within the building. 5. Artists must be ready to enjoy working in an open studio setting where the public is able to interact with the artist during public hours. Artists must work in the studio a minimum of 15 hours per week during public hours. CCAC is now accepting proposals for its Main Gallery for 2016 and 2017. The Columbus Cultural Arts Center is now accepting proposals for exhibitions in its Main Gallery for 2016 – 2017. Proposals are welcome from individuals or groups/organizations working in all visual arts media. The Center’s Main Gallery is one of the premier art exhibit locations in central Ohio, with very good public exposure, and opportunities for a variety of events in conjunction with an exhibition (e.g., workshops, musical performances, dance, poetry). Deadline for proposals is December 31st, 2014. Jurying by staff of the Cultural Arts Center will take place in the first quarter 2015, with notification of successful entries by mid-April, 2015. 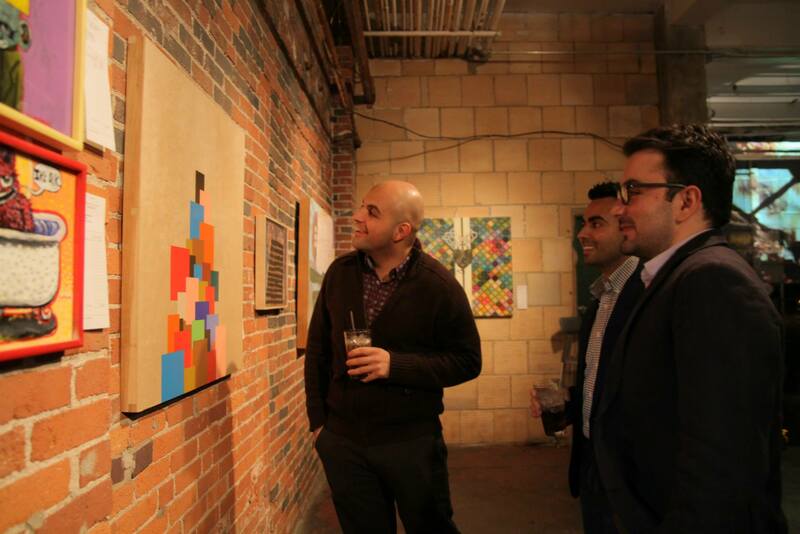 Exhibition Proposal Guidelines are available at The Columbus Cultural Art Center’s website. Chicago Chicago Chicago Chicago! Multiples. Chicago October fair is calling for final entries! Multiples. is a temporary crossover exposition opening for one weekend in March and October 2014 showcasing objects produced as multiples. As a premise show, Multiples. seeks to span the division between art and craft, which are intimately connected, yet often artificially separated by preconceived notions of social value. Modeled as a hybrid of the contemporary commercial art fair, critical craft markets and an exploration of visual art forms, Multiples. is an affordable option for contemporary artists and makers looking to expose their practice and sell their editions, replicated hand-made, or manufactured works in Chicago. Please click the apply link above to showcase your work at our Spring or Fall expositions, or the about link to learn more about art multiples. APPLY for this opportunity today! Last chance to enter is September 15th. For a $450 table fee, you can apply for a standard table arrangement to sell your multiples. Applicants can apply as individuals, or with a group, though applications for groups should include the names of all participating artists, contact info and websites. For a $225 table fee, you can apply for a shared table. If you have another vendor in mind with whom you’d like to share your table, please indicate their name(s) in the application. Otherwise, the Multiples. team can find another vendor to pair you with from our list of applicants. NEW! For a $650 installation area fee, you can apply for an 80 sq ft space–this includes no walls, tables or other equipment or guarantee of available wall space–to setup installations of sculpture, installation art, displays or other types of area presentation that requires the additional space to present. Additional equipment may be provided upon request. For a $225 wall fee, you can apply for a 4′ wide by 8′ high drywall section. Wall sections may be added exponentially (i.e., two 4′ x 8′ sections for $450, and so on) to create a booth for wall display within the fair. Tables are not provided for those applying for wall sections. For a visual example of the wall section layout, please click here.Please note that this is an early rate; after Aug. 15 wall section rates increase to $350. For a $225 fee, you can also apply to sell your wares from a small roving exhibit, which could be a bicycle, cart, or even a handbag (what, you’ve never heard of Clutch Gallery?) instead of a standard table. This is a fun option for those whose showcase benefits from being able to move freely about the event. Please note this may also include video projection for the visual art category. Tip your hats folks, and join Ohio Art League for a night of cocktails, music by Dj Vinh Vu, food derived from art movements, costumed photo booth by We Are Glitterati, colorful company, and of course, the chance to purchase original artwork from Ohio’s leading contemporary, professional artists in a Live and Silent auction. This year OAL is offering a Young Collectors Series that will cater to younger collectors by offering affordable, original works. This year’s One Night theme is Tribute in which OAL and its sponsors will pay homage to those members and artists of the past, present, and future! The Young Collectors Series is a small works submission alternative to the live/silent auctions, specifically designed to make art accessible to patrons of all income levels. All submitted works are 12 x 12 “ or smaller and priced at $75.00 or less. The cuisine will be inspired by the rich history of artistic movements, dating back to OAL’s foundation in 1909 and will mirror movements such as the Impressionism, Cubism, Minimalism, and Realism eras. Join OAL VIP preview hour from 6-8 p.m. or head over later, general admission starts at 8 p.m.
Don’t miss out on one of Columbus’ premier parties of the year! The Young Collectors Series for smaller pieces ranging in prices from $25-$75 and sizes Min. 6x6x6 in. – Max. 12x12x12 in. Have your work labeled with name, title, medium, and wired ready to hang. 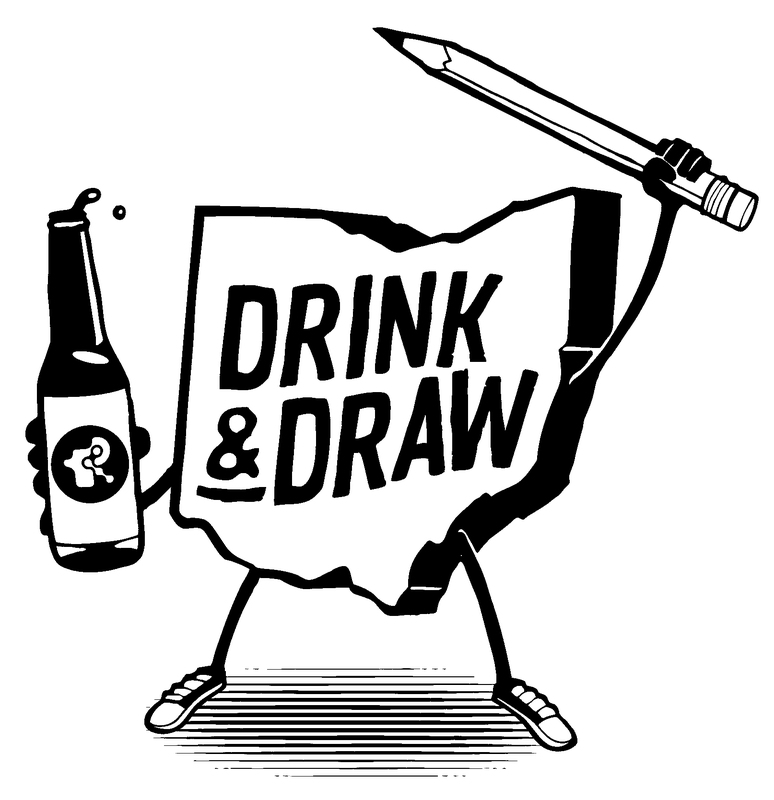 Have you heard about Drink & Draw? Well, they have an Ohio Chapter! This is an amazing group to meet fellow artists, at all stages in their careers. Check it out and join! Enjoy an evening of theme drawing, drinks a plenty, chatting, games and possibly some munchies from nearby eatery or food truck. Started by the lovely, Laura, of Rivet Gallery! Whether you are an artist or not, this is open to all individuals and all skill levels. We have had professionals, grad students, undergrad students, alumni, professors and faculty, janitors and lunch ladies (ok maybe that is not true) etc attend the Drink and Draw events. Bring along your sketchpads, Microns, markers, graphites, Moleskines, etc. Some will also be available though limited. PARKING: can be found along South Fourth Street and side streets.